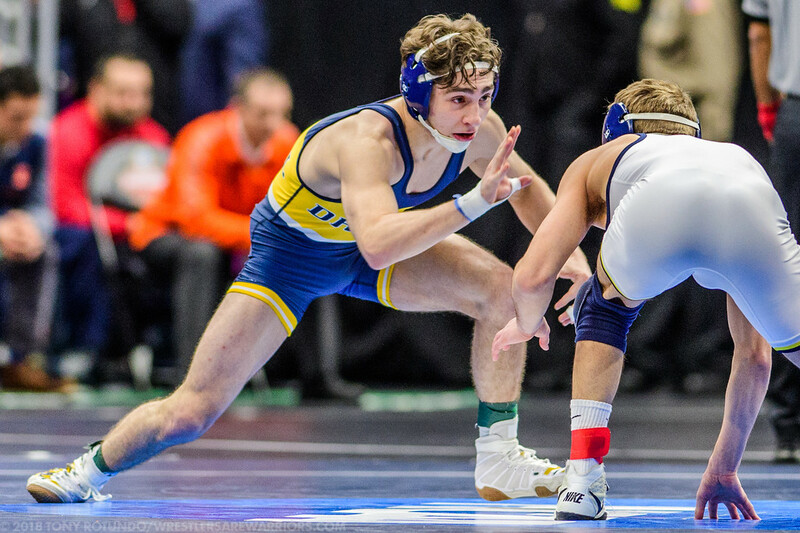 A Pennsylvania wrestler is potentially on the move, as national wrestling media outlet Flowrestling is reporting that Austin DeSanto has been granted a full release and he will indeed look to transfer. The report goes on to say that the Iowa Hawkeyes along with fellow Big Ten programs Penn State and Nebraska are interested in the Drexel standout. Only a true freshman, DeSanto compiled a 28-7 record at 133 pounds in his first season with notable wins over Jack Muller (Virginia), Josh Terao (American), Montorie Bridges (Wyoming), and NCAA runner-up Stevan Micic (Michigan). The fit with Iowa is rather obvious considering the 133-pound weight (which was manned by Paul Glynn) was the only weight the Hawkeyes failed to send to the national championships. Managing Editor Christian Pyles of Flowrestling also added in Tweet that Iowa would be visiting with DeSanto today and that Penn State had visited the wrestler yesterday. Considered a top recruit in his own right, DeSanto picked up a landmark win his senior season at the state tournament where he dropped down to 126 pounds in an attempt to thwart Spencer Lee from winning four individual state titles. DeSanto was able to claim a victory and while it was later revealed that Lee was competing on a torn ACL, Lee was nothing but the ultimate sportsman and went on to sit in DeSanto’s corner a couple weeks later at the Pittsburgh Wrestling Classic.